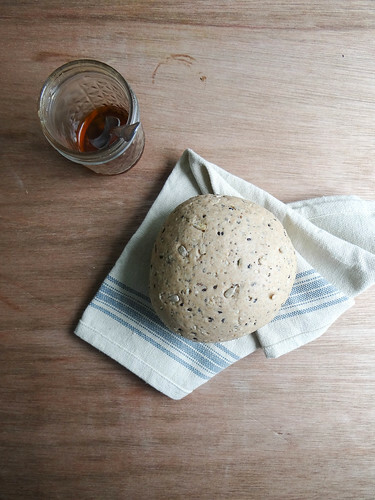 I started making my own bread at home about 9 or so years ago, like many people I was really hesitant about bread making- would it rise, did I use enough flour. salt or no salt? Bread making is very intuitive, thus the reason you will likely find a range in the amount of flour needed. Sometimes you need more, sometimes less. The dough will tell you its ready by feel, the more practice you have the easier it is to "feel" its readiness. Growing up, my Mom would use a bread maker to make fresh bread, I am not sure how this recipe would translate to a bread making machine, but it is so worth making by hand. 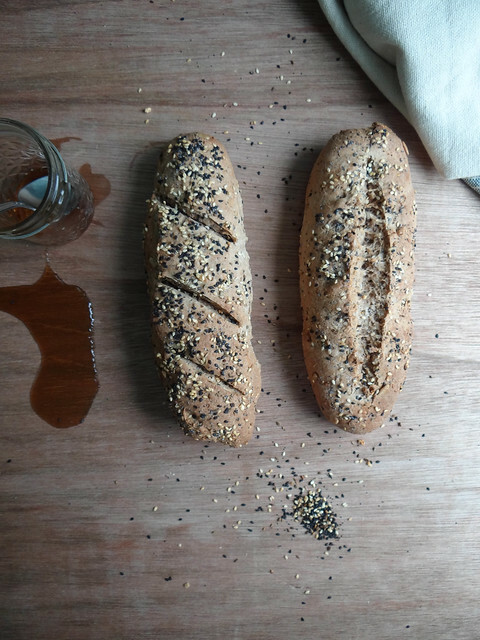 The spelt flour will give you a more rustic, dense bread while the bread flour will bake up a lighter, fluffier bread. I prefer using spelt flour or a combination of spelt and bread flour. 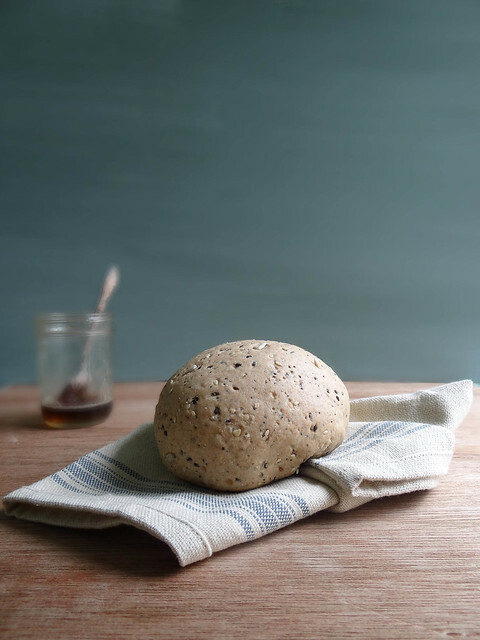 This particular bread is studded with seeds and sweetened with maple syrup- the perfect bread in my book. You can easily make your own seed mix, which I have done on many occasions or you can scout out a blend already mixed up for you. I purchased a bread making kit from Food52 (anyone else addicted to that site?) which came with a seed blend from King Arthur Flour that was pretty amazing, but can easily be made at home. The kit also came with a bakers couche; it is suppose to help provide the crunchy exterior baguettes are known for; it did do the job nicely but isn't necessary to be a pro home bread maker. 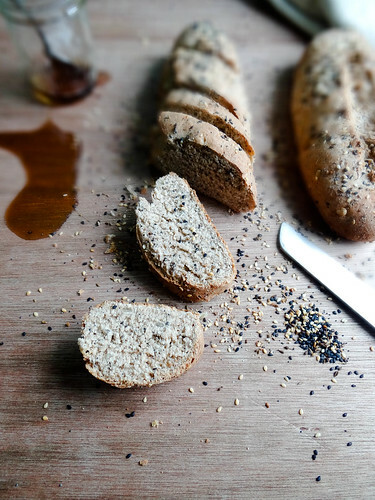 You can easily have a fresh loaf of bread for Sunday Dinner if you get started in the morning or afternoon, much of the time preparing bread is inactive. 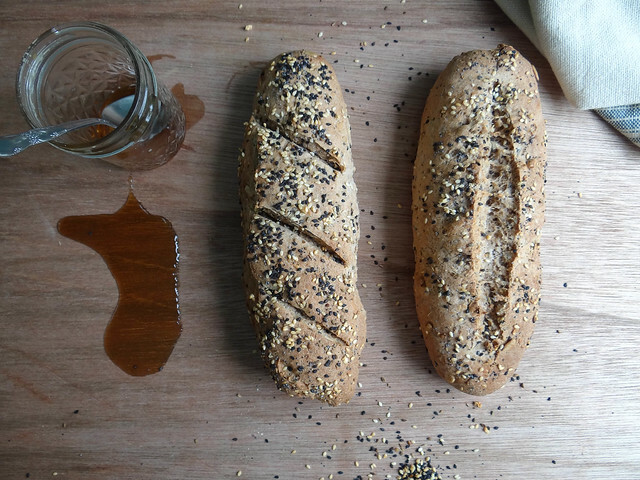 The resting and waiting helps to develop the flavor of the bread, the longer you wait (overnight is great!) the better tasting bread. You can create a sponge to further develop the taste of your bread, but that is a post for another day. Are you a bread making family? Do you enjoy the process of bread making? In a medium bowl combine yeast, water and maple syrup (in that order). Allow to sit for 5 minutes or until foamy & frothy. Add 1 1/2 -2 cups of flour, salt & 2 tbsp of seeds, stir until dough begins to form and pull away from the sides of the bowl. Turn dough onto a lightly floured surface, knead as much of the remaining flour into the dough as you can; 7-8 minutes. Place dough into a lightly oiled bowl, cover and allow to rise in a warm area free from drafts until double in size; about 1 hour. Gently turn dough onto a lightly floured surface. 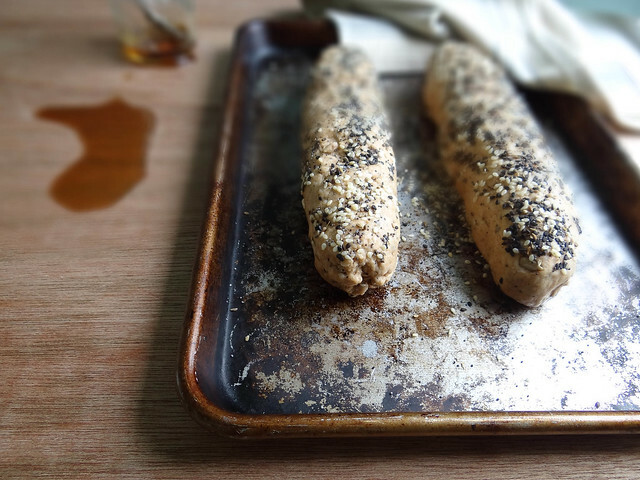 Divide the dough into 2 equal pieces and form each piece into a baguette shape (oblong, thicker in the center with the ends tapered) & gently roll each shaped baguette through the additional 1 tbsp of seeds. Place shape baguettes onto a parchment lined pan or bakers couche; cover & allow to rise an additional 30 minutes. Preheat Oven to 400* along with your stone (if using). 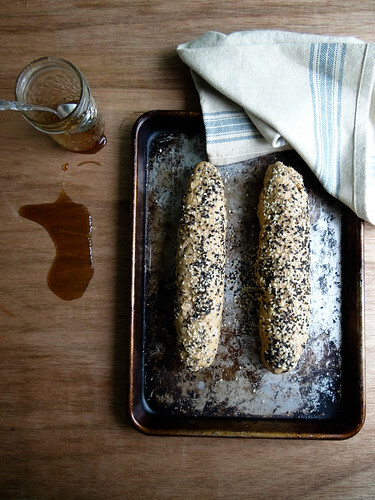 Uncover, using a sharp knife, quickly score the tops of each baguette. Gently transfer the baguettes onto the pre heated stone or baking sheet. Bake for 10-12 minutes or until bottoms are golden brown or when tapped on the bottom the bread sounds hollow. Remove from oven, allow to rest/cool for at least 10 minutes prior to cutting. haha I'm the same way. 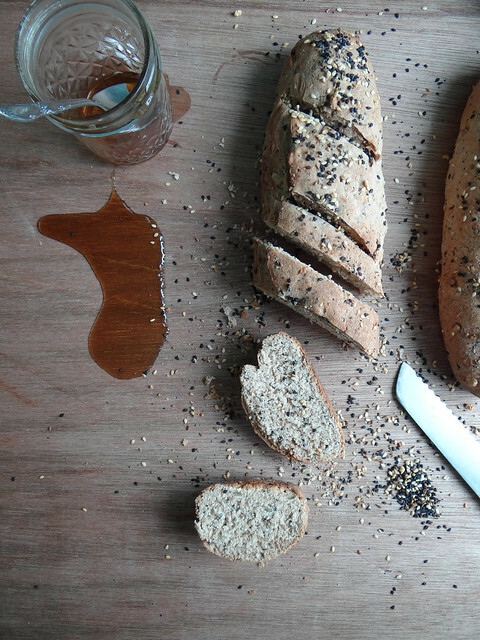 Seeded bread all the way! And this recipe is fabulous. Yum! i love seeded bread, too. 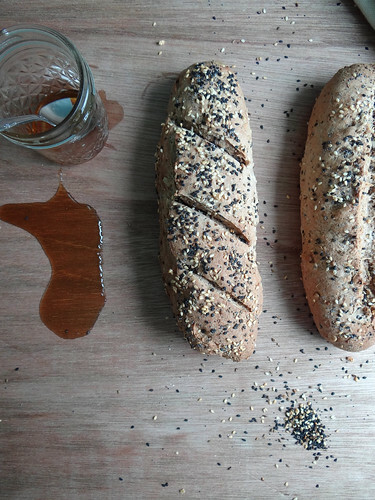 although, i must admit i favored rye bread with caraway seeds the most ;) this looks delicious, lady! These baguettes are so cute! I don't bake bread too often as I'm just cooking for one and don't find I eat it enough for it to be worth it. Making pizza dough and burger buns is the closest I get to bread making. I do love the process of kneading and watching the dough magically rise too! such beautiful baguettes. reminds me i havent made some in a while. I always end up making the regular sandwich bread. 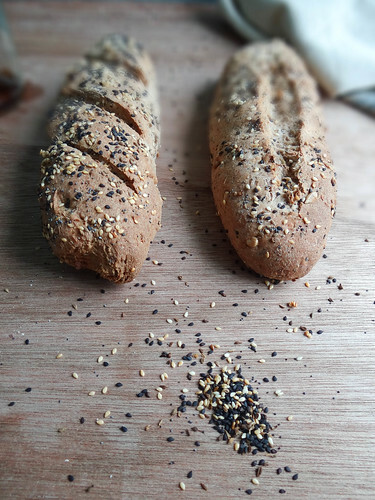 You always make bread-making seem so simple, and I like that your loaves always have some kind of twist to make them interesting, like the seeds in this one! They look perfect on the inside and outside! 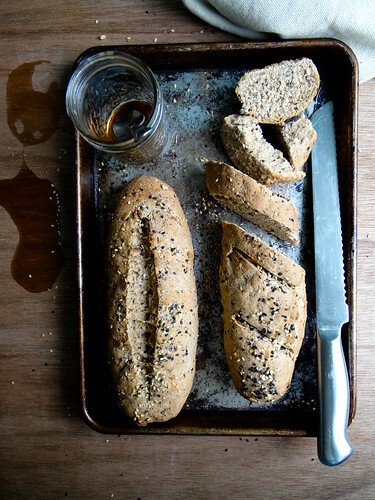 Breadmaking is super simple give it a try! wow that is truly a work of art. gorgeous! We are so on the same page, here. 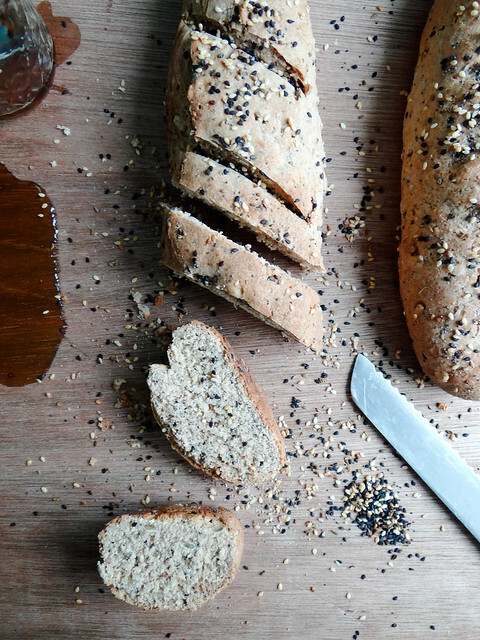 I adore seeded breads, especially when they have a nice balance of sweetness. These baguettes are just gorgeous, too... my mouth is watering! I have never successfully made bread but this turned out so well!!! 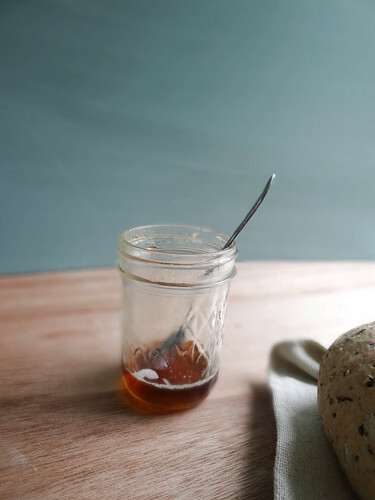 The five minutes of letting the yeast sit with the maple syrup was wonderful advice. I cannot wait to try the rest of the recipes on this site! YEAH! 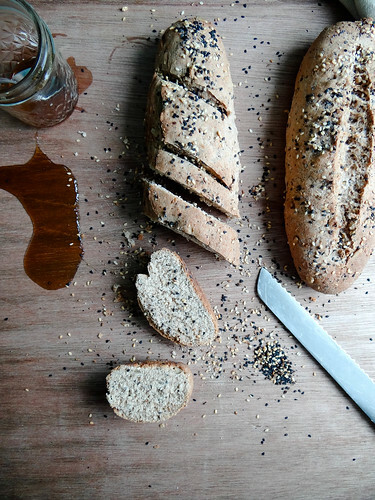 That makes me so happy to hear, I love bread making and the more you do it the better you become at it and learn the "feel" of the bread- thanks for taking the time to stop bu + comment!